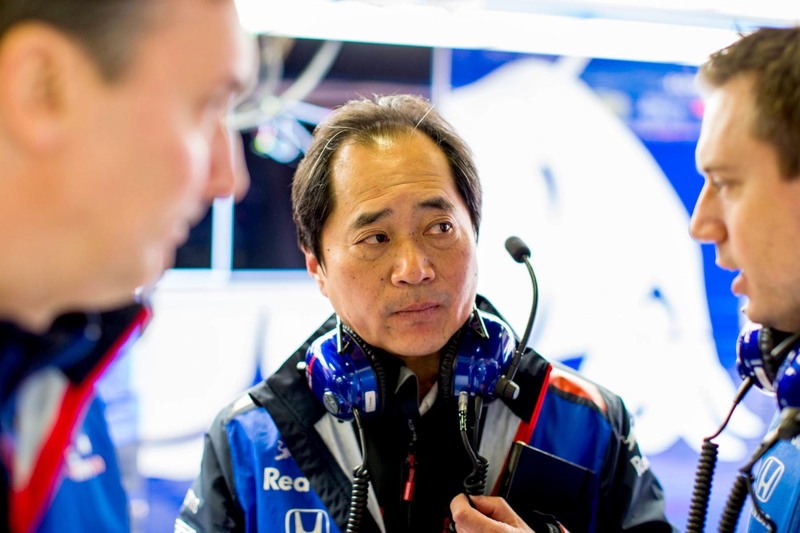 The high-speed Canadian Grand Prix has caused much angst for Honda and its underpowered engines over the past three years, but this season Montreal could the Japanese company’s last shot at creating a partnership with one of Formula One’s biggest teams. Honda’s torrid return to Formula One is well chronicled, with its first three seasons partnered with McLaren ending in acrimony and an ugly divorce at the end of last year. The automotive giant would have found itself out of the sport had a deal not been reached to partner with Red Bull Racing junior team Toro Rosso, and against expectation it has begun to flourish in the lower key setting of the midfield. Its engines remain the least powerful on the grid, but not by so much that drivers Pierre Gasly and Brendon Hartley haven’t been able to contest the top 10 in qualifying or for points on Sunday. More importantly, barring an embarrassing forced change of some power unit components after the season-opening Australian Grand Prix the Honda engine has proved reliable, reversing a damaging trend of engine stoppages when supplying McLaren. Honda’s upturn in performance is in parallel with Red Bull Racing’s souring relationship with Renault. Despite the pair winning four world titles between 2010 and 2013, Renault’s own underpowered and unreliable engines have marked it out as the third best supplier in the sport, embittering its Austrian partner. The contract tying the two together expires this season, leaving the team free to partner with another engine supplier, but with Mercedes and Ferrari already supplying the theoretical maximum of three teams apiece, Honda is the only alternative. Choosing the least worst engine between the two is therefore Red Bull Racing’s unhappy task, but the competitiveness of the team to the end of 2020, when the engine formula will change, depends on management making the right choice. Shaping as key to the decision is this weekend’s Canadian Grand Prix, where both Renault and Honda, along with Ferrari and Mercedes, are likely to bring their second of three power unit iterations for the season. Where they end up relative to their competitors will be taken as an indicator of their potential. Both Renault and Honda have a history of underdelivering on upgrades. Honda’s inability to meet upgrade deadlines was a principal motivator in McLaren’s decision to pull the divorce trigger last season, while Renault is yet to deliver the update to its kinetic motor generator unit (MGU-K) it promised at the beginning of 2017, citing reliability concerns. The MGU-K is the engine component that failed on Daniel Ricciardo’s car at the last race in Monaco, threatening to rob the team of a win at the sport’s most famous race. That failure means Ricciardo has already used the maximum of two MGU-K units allowed per driver per season, and Red Bull Racing has confirmed that he will take a 10-place grid penalty for a new unit in Canada. Further penalties for other parts may also be incurred. This in itself is a reason for the team to consider partnering with Honda. Whereas Renault’s engine development timeline complements Renault’s own works team, partnering with Honda would give Red Bull Racing the opportunity to become a de facto works team for the Japanese company, giving it greater chassis-engine synergy. With Red Bull Racing keen to extricate itself from its loveless Renault marriage, the ball is now in Honda’s court to prove it’s finally up to the task of delivering for a top team in Formula One, making Canada a potentially momentous weekend for the famous Japanese marque.